Just like that, Black Friday is almost upon us once again — followed by Cyber Monday and a whole string of seemingly urgent holiday shopping opportunities. Everyone who's ever had a weekly allowance to blow at the mall knows that this time of year creates remorseful buyers like none other. Between norms of gift-giving reciprocity, the emotional highs of celebrations, and the emotional lows of terrible weather and unpleasant social situations, our financial good judgment often fails us at this time of year. 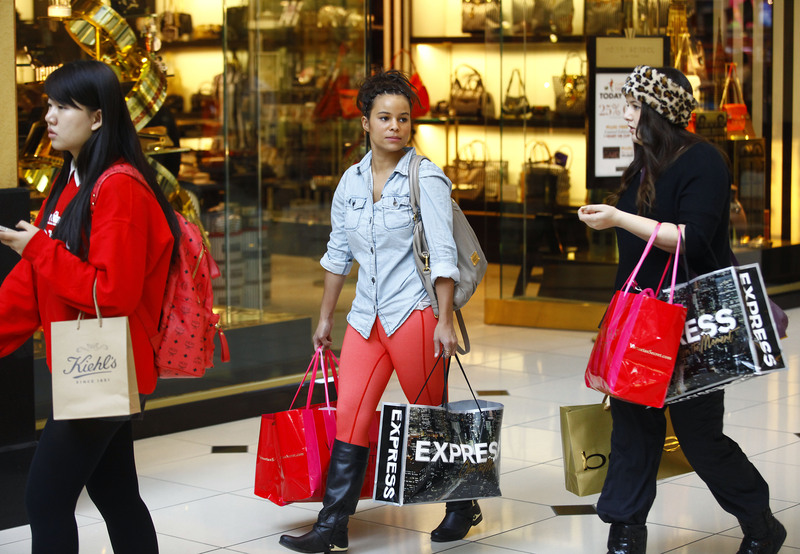 Is 2014 the year that you'll finally learn from your shopping mistakes? Without a strategy for action, probably not. If it makes you feel any better, you're certainly not alone: two-thirds of Americans will make an impulse purchase each month, and up to 71 percent of those shoppers come to regret their impulse purchases. Clearly humans have some natural weaknesses in this department, and modern conveniences like online shopping and credit cards exacerbate them. Our brains have probably evolved more to deal with environments of intermittent scarcity and patchy availability of resources than with a mall full of expensive and totally unnecessary material abundance. But you don't have to wait until the new year to get your spending under control and your budget back on track. Here are four tips, inspired by science, to help you avoid impulse purchases this holiday season. Willpower is a limited resource, and when you exert willpower now, you have less of it to spend on subsequent choices. This effect is known as "ego depletion," and it may be related to physiological factors, like how much glucose your brain uses up when you've had to think hard about a decision. Ego depletion means it's a terrible idea to go shopping on your lunch break or after work. If your blood sugar is low and you've just been exerting willpower at the office all day, you're in your very worst position to resist temptation. Try an early morning shopping trip, or wait until the weekend. Psychologists have known for a while that spending money on experiences and not stuff will improve your happiness. Why? Well, experiences (like trips or dinners) are often social, and people both enjoyably anticipate them and look fondly back on the memories once they're over. Buying stuff (like clothes, accessories, and unnecessary stuff for your home) is more like a little hit of happiness: you feel good briefly, but then it's over. What's more, owning stuff is costly, because you need to store and organize and clean it. Most impulse purchases involve buying objects, so they're really unlikely to do much for your happiness. If an impulsive opportunity to see a show with friends or go out to dinner arises, that impulse purchase is more likely to be worth it. Everyone wants to think that they're strong enough to do the right thing, but you can take additional measures to set yourself up for success. Bring a certain amount of cash to the store, and leave your cards at home (using a credit card encourages over-spending, and millennials are especially guilty of this). Don't save your credit card numbers at shopping sites — entering the number again each time will give you a moment to reflect on the purchase. Don't "window shop," because there are plenty of better things to do with your time, and the risk for temptation is too great. Feeling gratitude makes people happier, which is why the advice to "take a minute to give thanks" has become such widely-circulated folk wisdom. But, surprisingly, feeling gratitude can also help you to avoid impulse purchases. When people feel gratitude, they become less impatient and more able to delay gratification, as demonstrated in a recent study using experimental borrowers. Put this effect to work in your life with an admittedly cheesy-sounding "gratitude journal," and you may see your finances improve along with your mood.